Our joy ride w/ Kristin Andreassen! 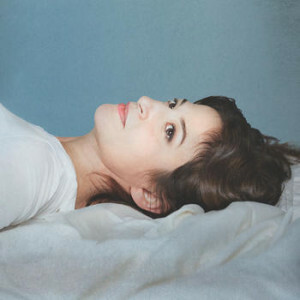 If you don't know her, then, let us introduce you to Kristin Andreassen, singer/songwriter and Portland native who has graciously accepted our invitation to be the opening act at our CD release, April 4 at Seattle's Town Hall. Kristin grew up in Oregon, went to college in Canada, did social work in Cape Breton, and discovered that music needed to be her professional path. Since then, she's toured the world, performing in a professional clogging company, playing with Uncle Earl, and recording with a star-studded roster of trad musicians (Dirk Powell, Aoife O'Donovan, Ruth Moody, Jefferson Hamer, Laura Cortese, Sufjan Stevens, and the like...). She's now based in Brooklyn, New York, but travels a ton still, often landing in Portland (and Seattle, where her brother lives). Her new CD juxtaposes deep traditional roots with modern NYC indie influences. Featuring guests (O'Donovan, Hamer and Punch Brother Chris Eldridge to name a few) from the exploding New York folk scene, but written largely on a remote island in New Hampshire, the lyrically and instrumentally rich arrangements on Gondolier "explore secret passageways connecting the outer edges of disparate notions – urban and rural, childhood and old age, expectation and reality," according to her press materials. We finally met her a year ago, spending a week staying up till dawn playing tunes with her atop a Big Sur cliff. We taught her tunes, she taught us songs, and we played and played and sang and sung, all night long. (Indeed, with out her our recordings of "Jubilee" and "Big Sur" on our new CD would never have happened.) She's played Seattle in various guises before, but she likely will be a new name to a large number of Onlies' fans, so we're delighted to share her with you! Alas, that will have to wait until April 4. But the good news is that you can listen to her concert tonight, and buy Gondolier if you like what you hear! Previous article:The new CD: We have a name and a date!